This four seat bar setting is beautiful and luxurious. 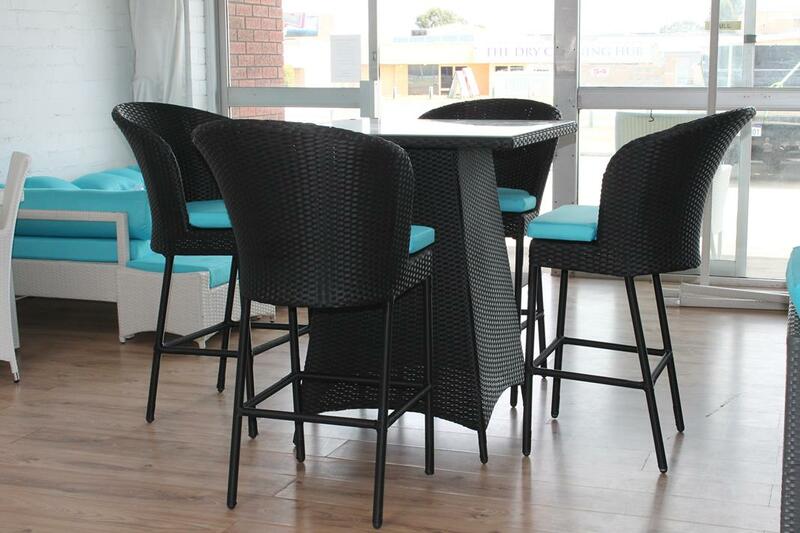 The elegantly shaped chairs feature high backs, and thick seat cushions. Enjoy drinks and fun with friends, without taking up too much of your precious space. An outdoor wicker bar setting is the ultimate in luxury.